Khan market is one of the posh areas of Delhi. T has the most quirky restaurants and food joints. You must come to this place once if you want to taste the best food. Khan market is the perfect combination of street food as well as the best fine dining restaurants. 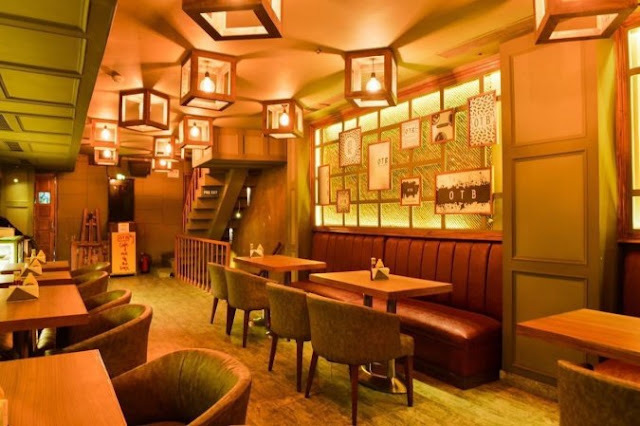 Here is the Khan Market restaurants bar café guide which you must keep handy with you. This place is one of the best places in Khan Market. A perfect combination of Asian, Chinese, Japanese, Vietnamese and Thai food. The colourful décor is what will attract you the most. It set the mood right. Mr Choy is probably the best place to have the best dim sum and the best drinks. You can come with your friends to have a great time. Bento Box, Bubble Tea and Mango Pudding are all that you need to have. As the name suggests, this place serves the authentic Chinese food. The place serves the best sushi in the town. The aura of this place s calm and pure. You can come with your friends and family to have the best food here. Duck Dim Sums, Bok Choy Dim Sums, Dynamite, Volcano, Asparagus Tempura and Alaska Sushi, Cheung Fun, Hot Yellow Curry, Spicy Basil and Chilli Sizzling Stine Bowl, Thai Orange and Kaffir Lime Fun Bottle is what you must have we you go to this place. This place is perfect for catching up with friends and lunch dates. This is the most experimental place. This is a fine dining restaurant with the atmosphere of a pub. This perfect blend of restaurant and bar serves you the tastiest food and drinks. The environment is very calm and cool. The aroma of the restaurant will make you fall in love with it. You can enjoy the North Indian cuisine and Italian food here. You must have the Peri Peri Chicken and Italian Station Pizza of this place. This place is perfect for Hangout and Catching up with friends. This place does not need any kind of intro. They serve the best beer with the best Spanish food. The yellow and blue walls and chairs are eye catchy. It feels that you are sitting in the Spanish Countryside. The Mushroom Alfredo and Chicken Wings are the must try. This place is best for hanging out with friends. The entrance door is blue in colour which goes with the name of the place. The simple vibe of this restaurant is very relaxed and calm the open Kitchen is what attracts the customers. Pasta, Waffles, Sandwiches and Bruschetta are the must-have from the menu. This place is perfect for the hangouts. You can come with your friends to have a good time. So this is the list of best eateries in Khan Market. Just like Khan Market, Karol Bagh Is also full of amazing eateries and food joints. You must keep the Karol Bagh restaurant bar café guide handy along with this.